A Frostgrave Tracker and her faithful hound from North Star. 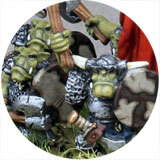 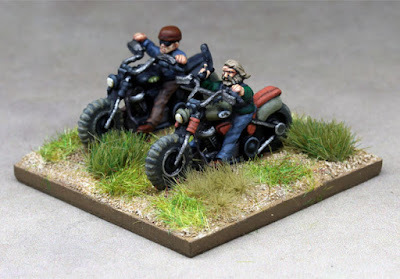 Another base of 15mm Bikers from Rebel Minis. 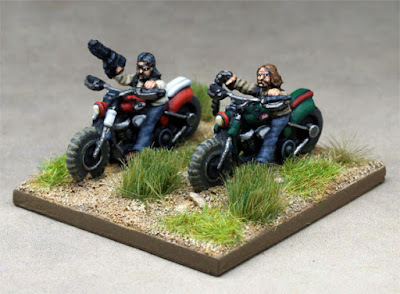 15mm Bikers from Rebel Minis. 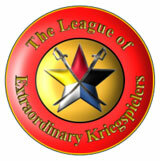 Part of my Wasteland Outlaw army for ASL. 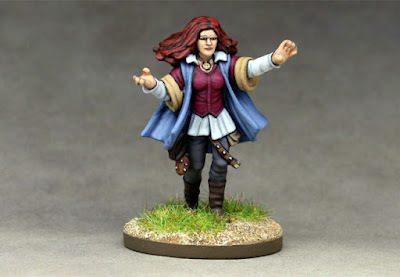 Frostgrave Spiritualist Apprentice from North Star. 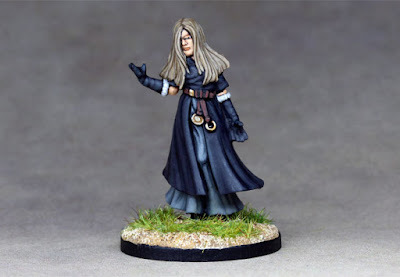 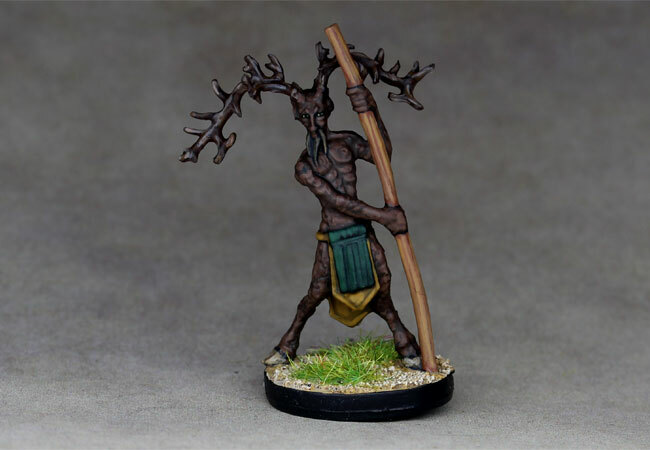 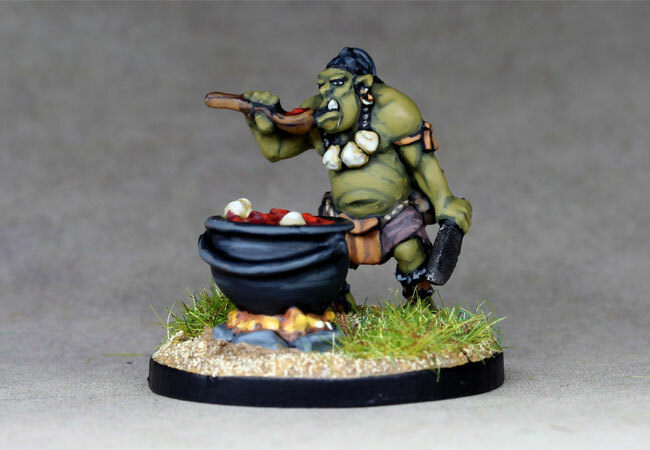 A Frostgrave Distortionist from North Star. 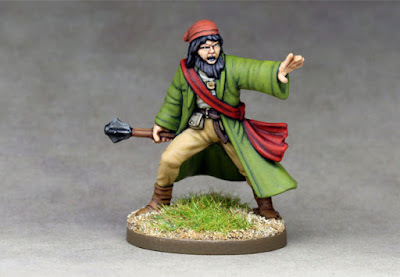 A Frostgrave Distortionist Apprentice from North Star. 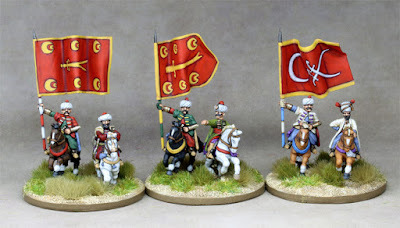 15mm Ottoman Generals planning their invasion of Carthage later today :-) Figures are a mix of Essex and Khurasan Miniatures. 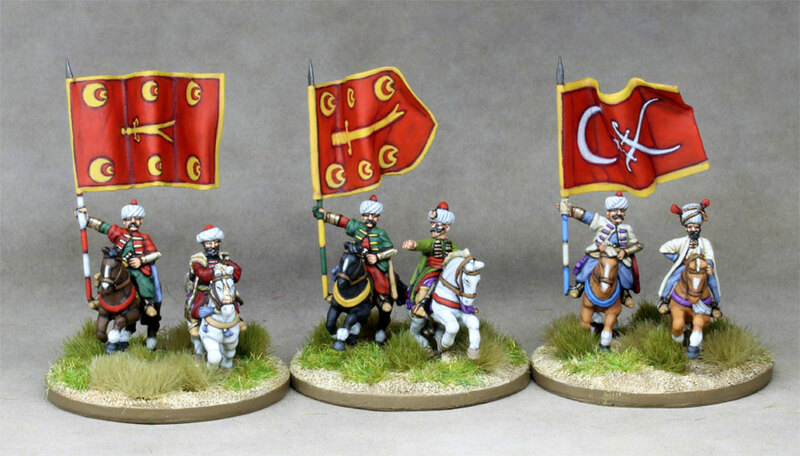 15mm Ottoman Azab Skirmishers from Essex Miiatures. 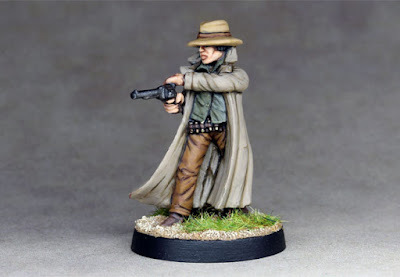 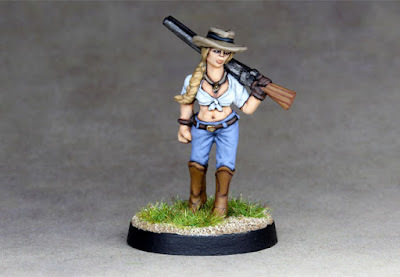 An Old West Cowgirl from Black Scorpion. 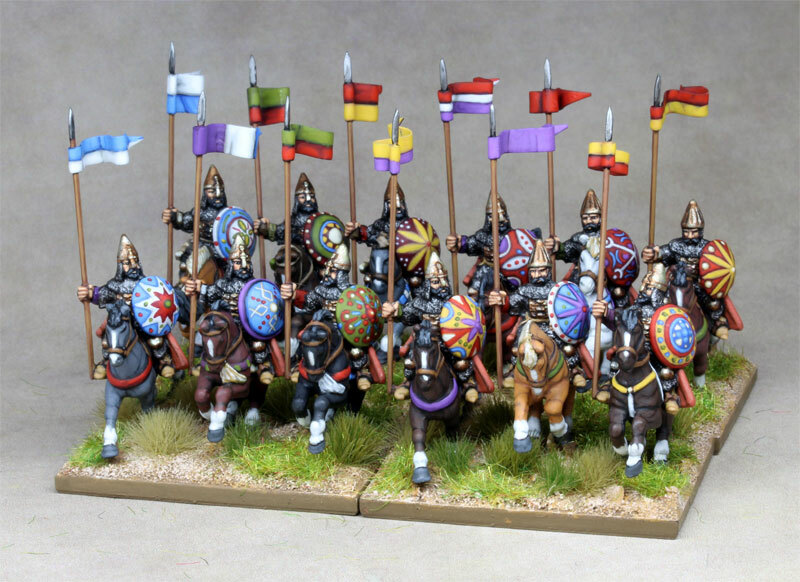 Scary big pic of my 15mm Ottoman Elite Impact Cavalry for my ADLG army. 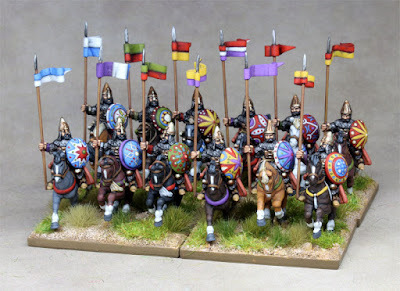 I've given one of them the option of having an imbedded General to save on points, if I need to. 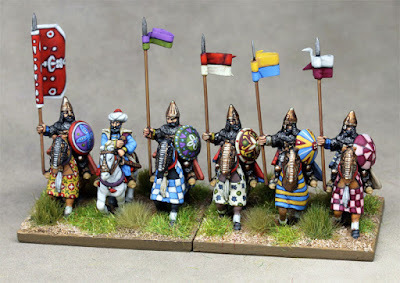 Another group shot of my 15mm Ottomans, this time it's the Sipahis. 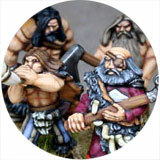 Figures are Essex Miniatures. 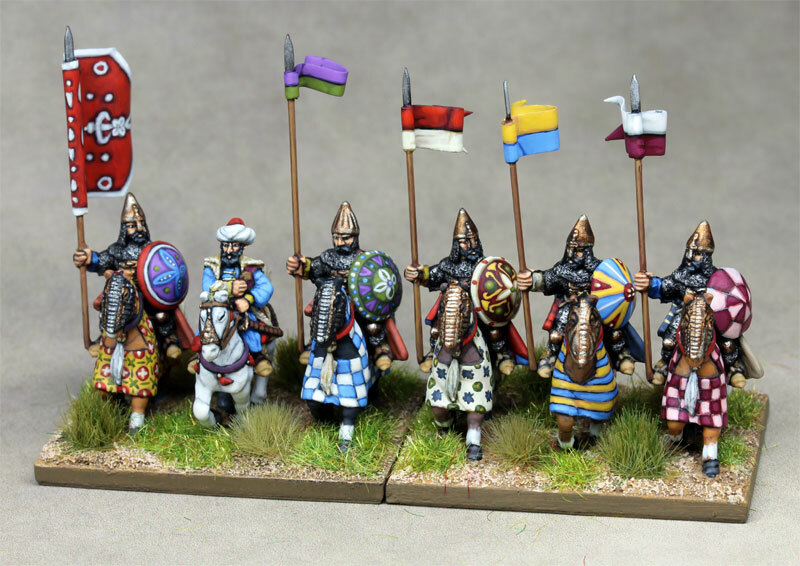 I'll be playing my first game of ADLG next week, so I thought I'd take some group pics of the 15mm Ottomans that I'll be using. 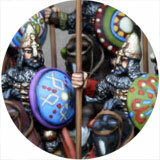 Here are the 4 units Janissaries, figures from Essex Miniatures. 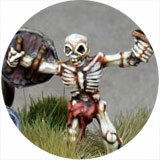 Zombivor Dakota from CMON's Zombicide Board Game. 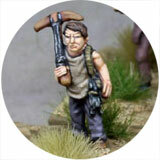 From CMON's Zombicide board game - survivor Dakota. More rebasing on to multi-figure DBx/HotT style bases. 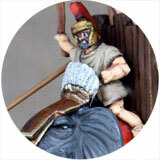 These are some 15mm Oceanic Republic Troopers from Khurasan Miniatures. 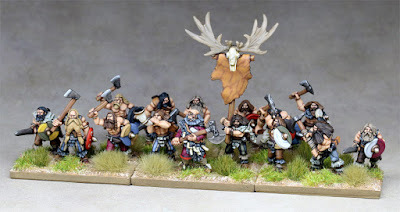 To celebrate the release of a new 15mm Barbarian giant and the promise of more 15mm Fantasy from Copplestone Castings , here's a group shot of my 15mm HotT Barbarian Warbands to date. Hopefully I'll pick up the new Giant at Hammerhead in a few weeks. 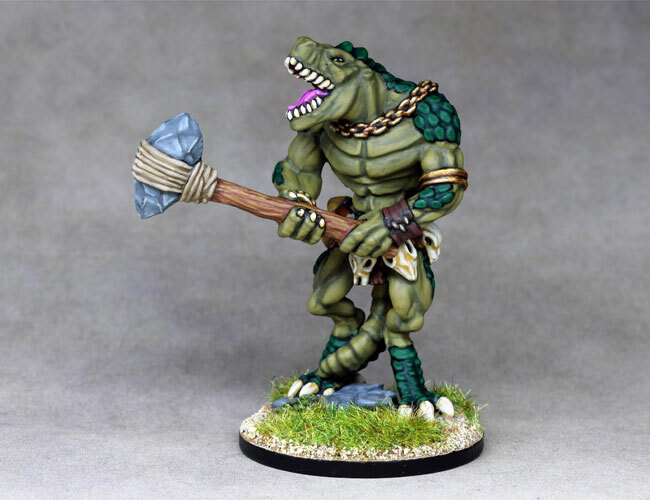 Lizardman Tyrant from Reaper Miniatures. 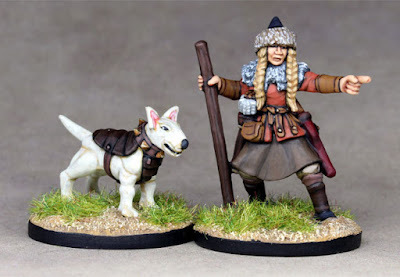 Priestess and Baboon from Reaper Miniatures. 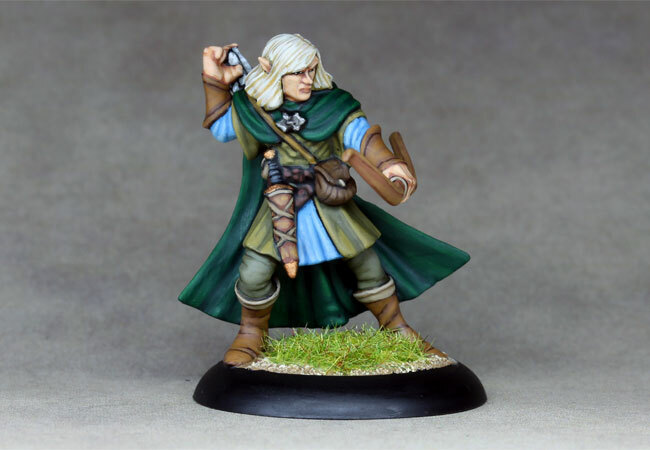 Lanaerel Grayleaf, Elf Ranger from Reaper Miniatures. 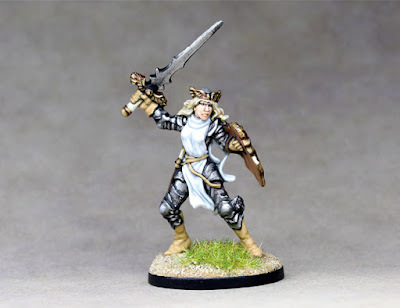 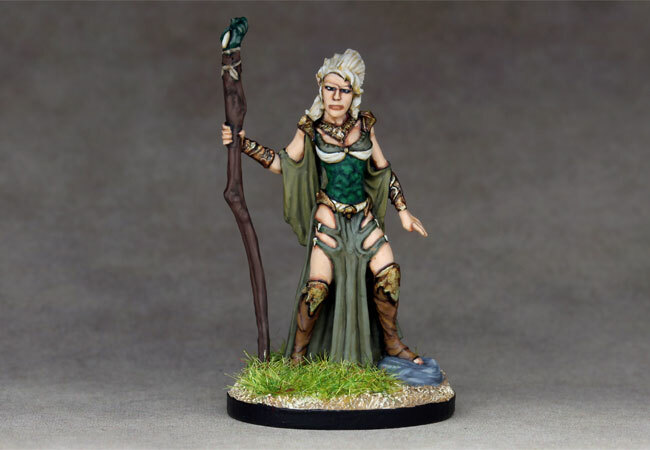 Autumn Bronzeleaf, Female Elf from Reaper Miniatures. 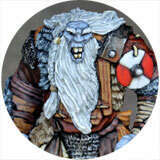 Leywalker, plastic figure from the Talisman board game. 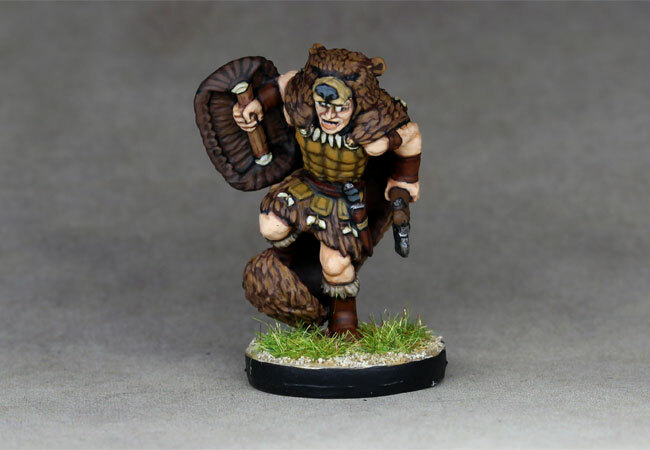 Totem Warrior , plastic figure from the Talisman board game. 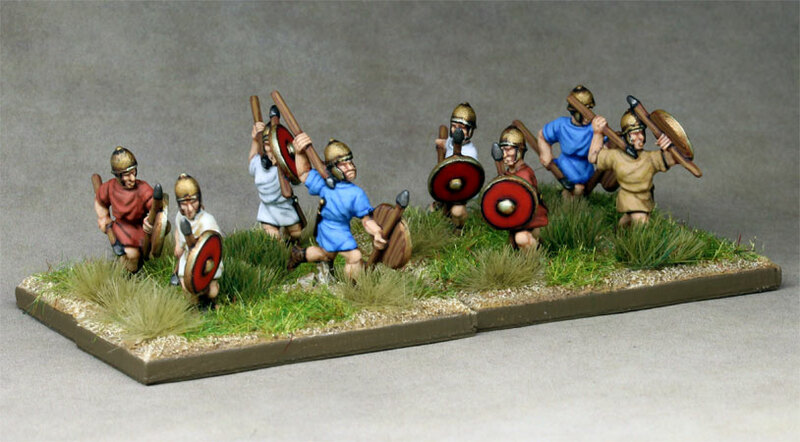 15mm Roman skirmishers from Essex Miniatures. 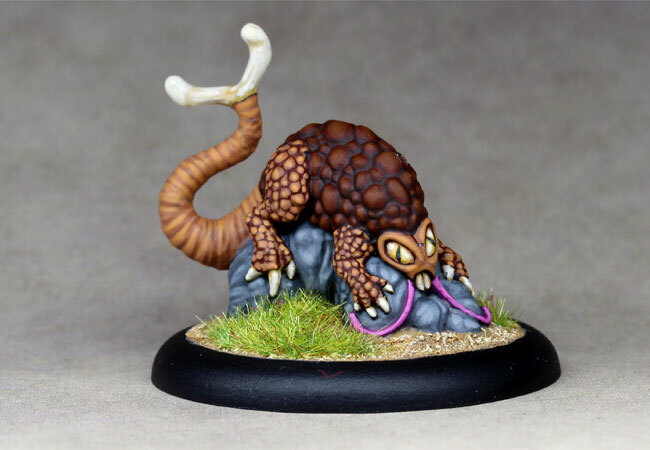 An old school Rust Monster from Grenadier. Last of the 15mm Orc Villagers from Khadrin's Miniatures and a group shot.